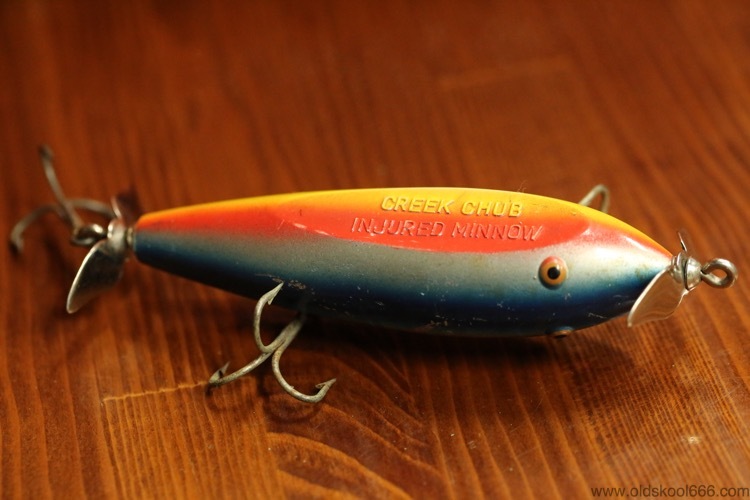 CREEK CHUB, INJURED MINNOW(plastic), Rainbow. 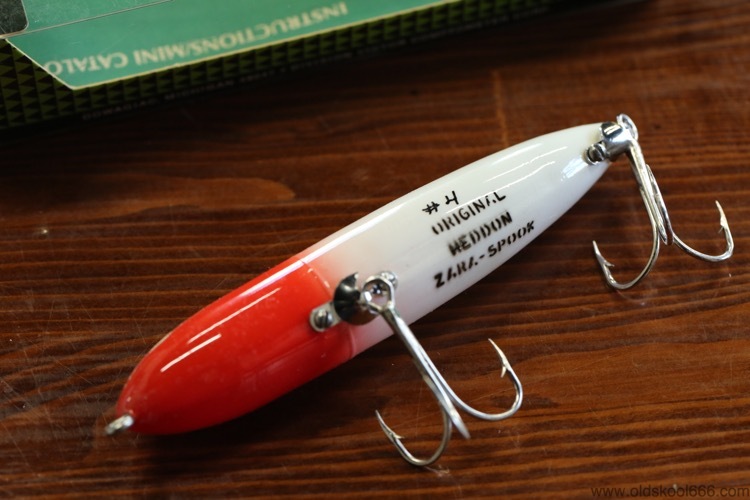 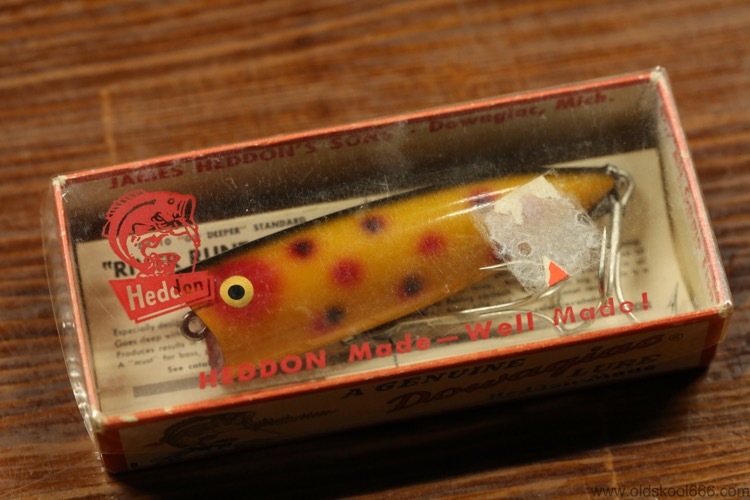 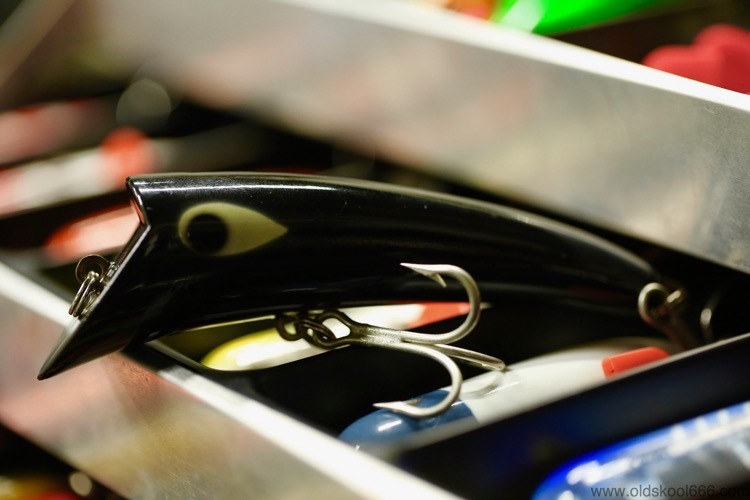 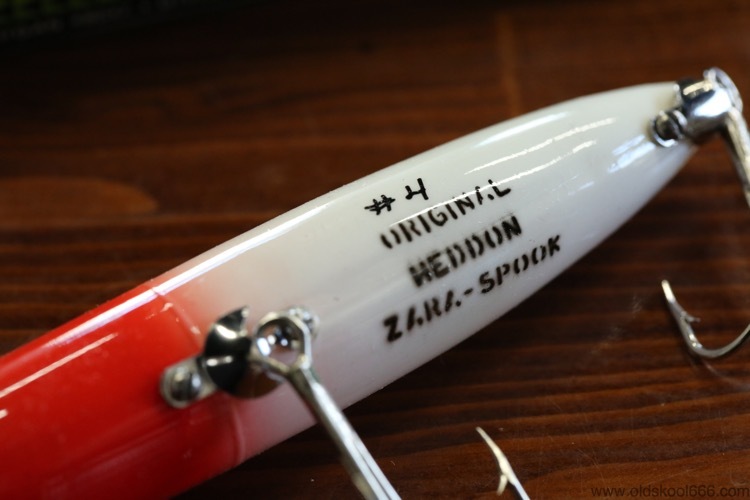 HEDDON, MAGNUM HEDD PLUG, SOLID BLACK. 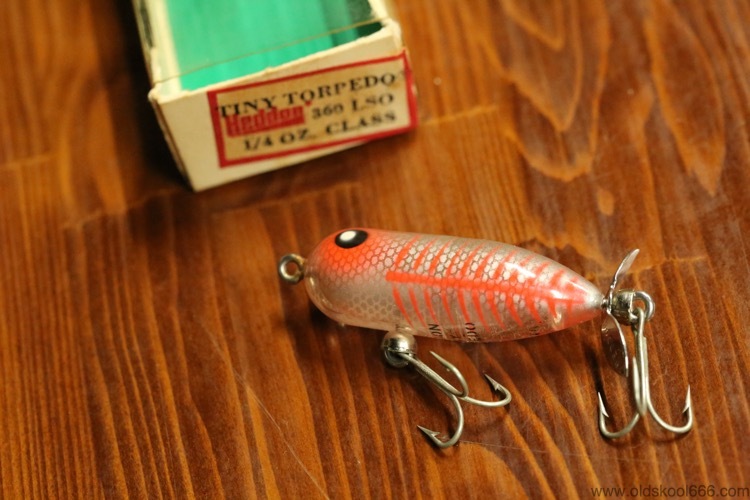 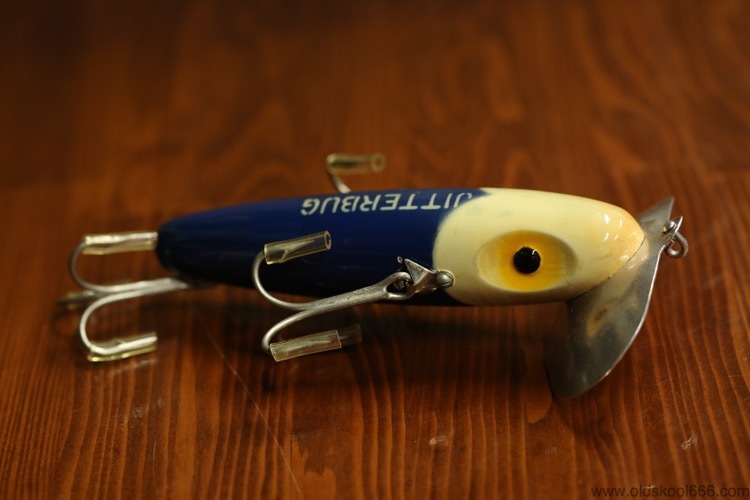 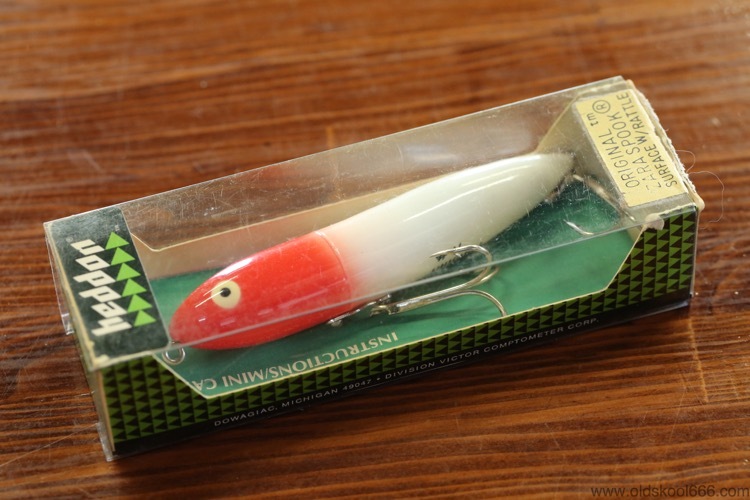 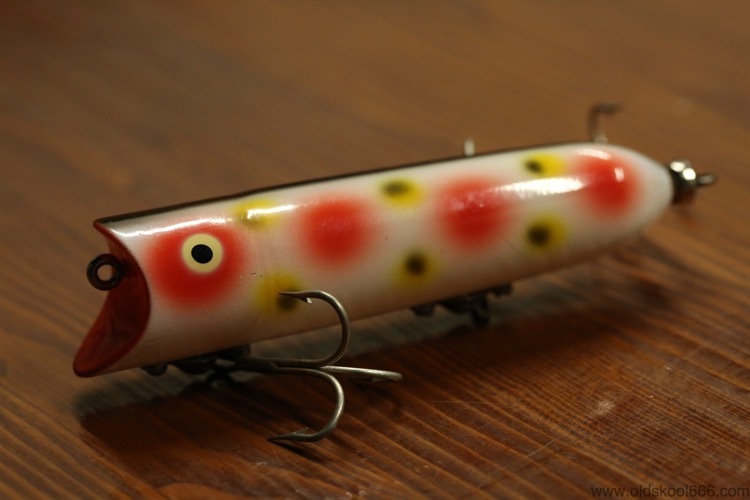 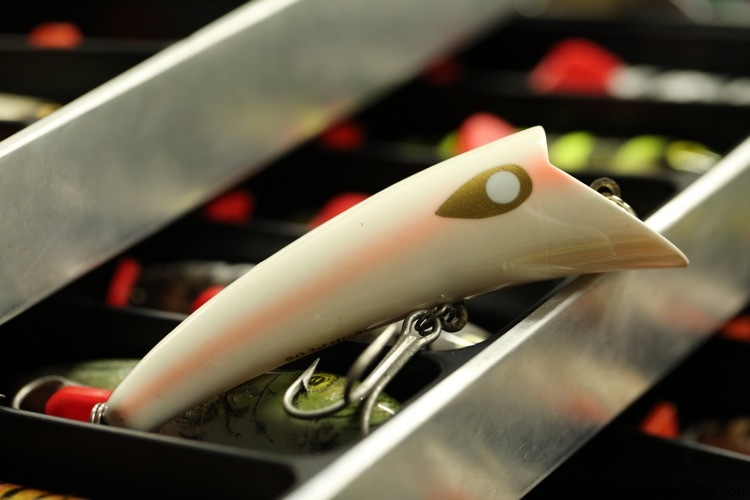 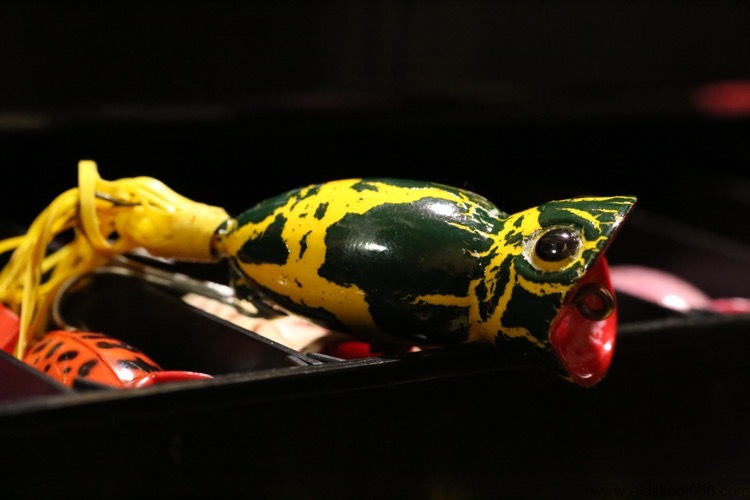 Fred Arbogast, Musky Jitterbug, White Head / Blue. 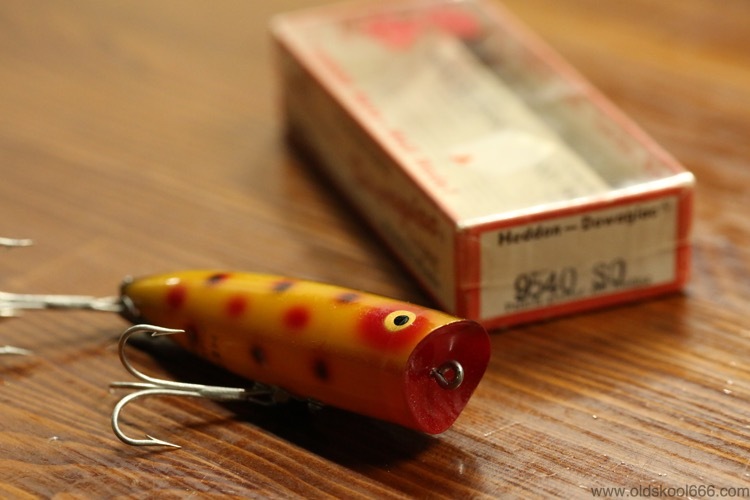 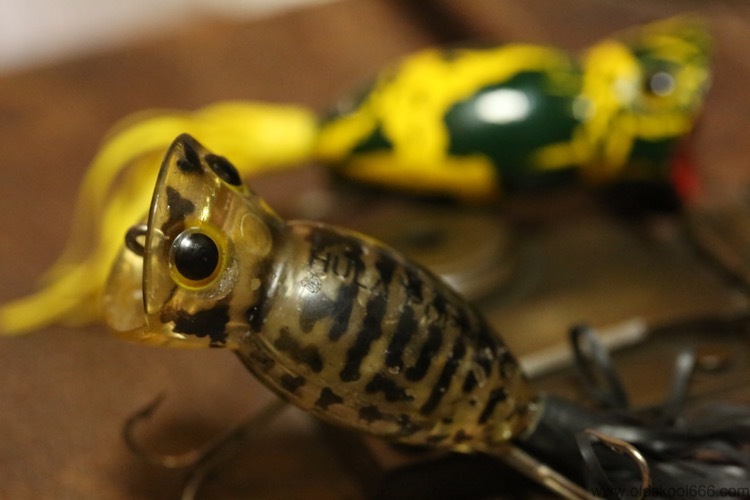 Fred Arbogast, Hula Popper, Clear Coach Dog.